Amethyst Construction Inc. is an equal opportunity employer. The value and success of our company has always been in the dedication of our loyal employees. Their dedication to quality work at a competitive price had insured the continued growth of the company. We offer competitive salaries including 401K, health insurance, and other benefits. We invite you to apply at our office, or submit your information below. 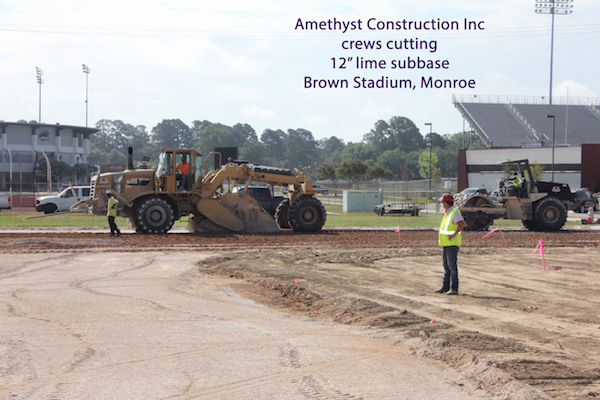 You can also fax your resume to us at 318-397-1046 or email it at Info@AmethystConstruction.com. All applicants are drug tested prior to employment. We maintain a zero tolerance for drugs. All employees must also agree with and abide by the safety rules of this company. Immediate openings for experienced Construction Foreman, supervisors, heavy equipment operators, form carpenters and concrete finishers.